The Great Square is a pretty small public square in Old Town, which also happen to be the oldest square in Stockholm. This used to be the city center part of Stockholm many years ago. During the 1400s about 5000 inhabitants lived here (compering to less than 3000 today). It was at The Great Square all people got the latest news announcements. The Stockholm Massacre (Stockholm´s bloodbath) took place here, at the early 1500s (7 – 9 November in 1520). 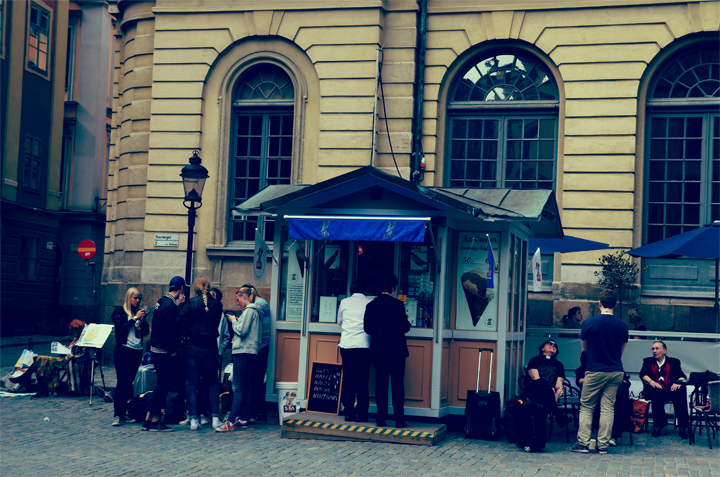 Nowadays this place is a strong tourists attraction and it is known for its annual Christmas market, where you, for instance, can buy handicrafts and Swedish Christmas candy. 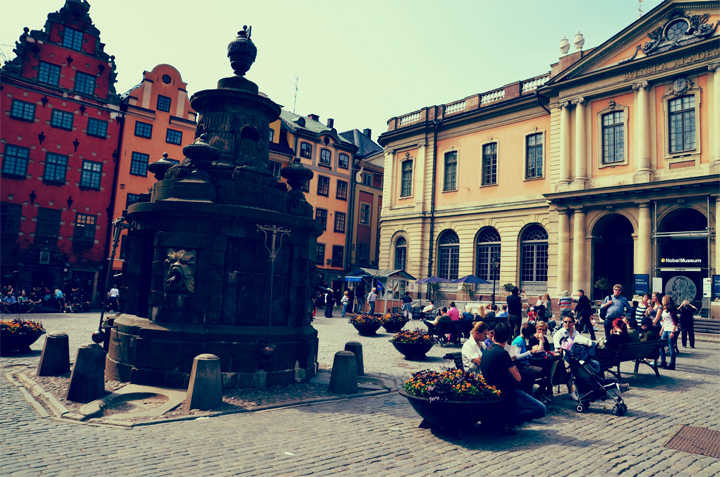 Today The Great Square is the location of the Stock Exchange Building, which houses the Swedish academy, the Nobel Museum and Nobel library. The cannon ball in the corner of Skomakargatan dates back to the Stockholm bloodbath, when it was fired at the Danish king Christian II of Denmark. Although it is more likely that a Swedish furniture dealer, named Fredrik Grevesmuhl, built the cannon ball into the wall during the construction of the house (1700s). The cannon ball was framed in honor of all the people who were killed during the Stockholm bloodbath. One Response to "The Great Square"